● Suitable for any age - appropriate for kids as young as 4, but is equally challenging for adults. 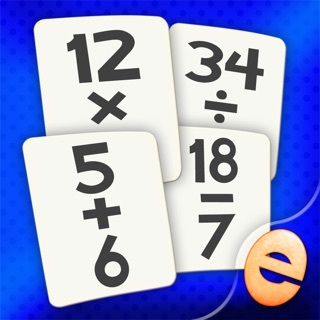 ● Perfect for playing at a party, as a family, and in the classroom. - Includes a links, which are locked from kids, to the Kindermatica website, FB page and other apps developed by our company. Let's Go on a Fun Safari! Get ready for old-fashioned fun with a twist! 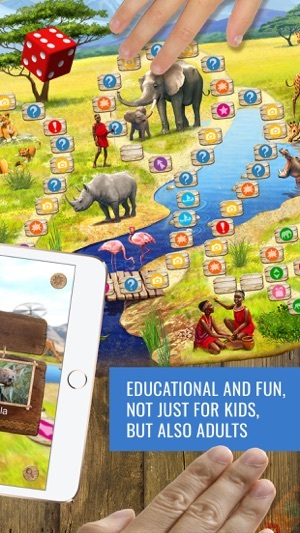 We Discover Africa: Safari Quest is an engagingly unique, 3-D board game that teaches fun facts about African animals! Perfect for family game time or small group time at school, Safari Quest will help sharpen your knowledge about Africa. 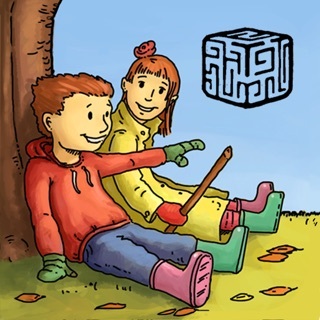 Easy to play and learn, this imaginative and colorful game will delight your children! 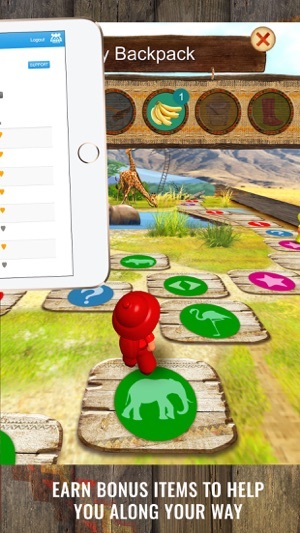 Safari Quest is designed for 1, 2, 3, or 4 players. You can play against a real person or play against the computer. There are three difficulty levels to choose from. To play, users select a male or female playing piece ( or a computer screen if playing against the computer), and a color for their player. Game play begins with the roll of a die. 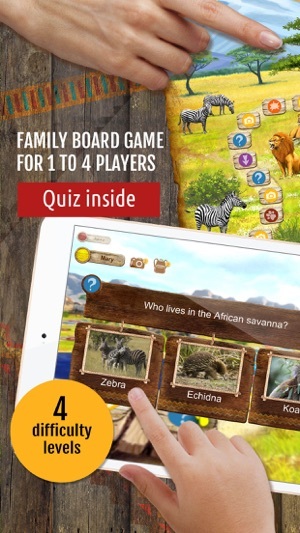 Players move along the colorful Safari themed gameboard answering interesting questions about African animals, and collecting bonus items to help along the way. Bonus items include items such as binoculars, a compass, hidden paths, short cuts, bananas, a torch, paddles and insect repellant. 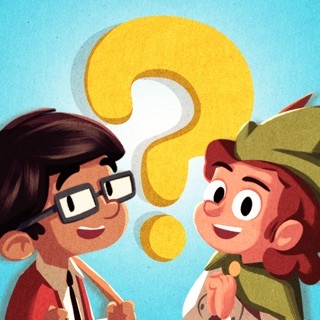 Questions are written on the game screen. Users are given three possible answer choices. Pick the correct answer to advance your player. Collect snapshots of seven different animals and rush to the finish line! Lots of fun for home or school! Recommended! Great fun for the entire family while learning! 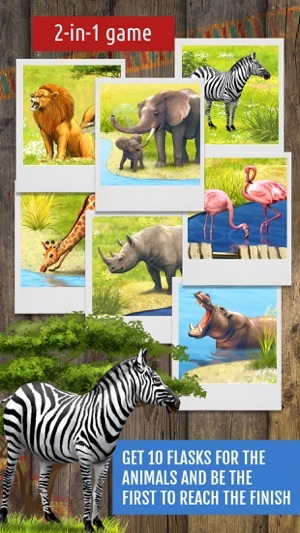 We Discover Africa: Safari Quest is a fun and educational app that is fun for the entire family. You can choose to play against the app itself, or play a 2, 3, or 4 player game. Plus, you can choose a boy or girl avatar in the color of your choice, which becomes your game piece! Each player can choose a different difficulty level if they want, which is nice wen you have different ages playing together. Now, the fun begins, as you embark on your journey and learn about the African savanna, the animals who live there and more, all while having fun. With illustrated questions, bright graphics, fun sound effects, the game will keep kids engaged while they learn. In order to win the game, you must earn all of the animal photos in the collection and be the first to the finish line, but be sure to get all of the bonus items that you can because when you need them and do not have them, you may miss a turn. The player who wins will see a display of fireworks as well as newspaper headlines featuring their avatar. This is a neat app for learning about animal science, working on reading skills for those who are ready, and just plain fun. 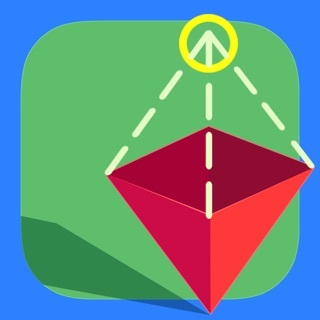 The app has no IAPs or ads, and all external links are secured. I absolutely love this board game and find the idea of it absolutely genius. It allows you to play, and have fun while you learn pretty interesting facts about the safari animals that you never even knew about. You will enjoy the outstanding graphics and sounds that will make you never want to stop playing it. I love the fact that you can change the settings on the difficulty level for each player and that the game itself is so well thought out to each detail. I can't wait for more games like that from the creators!